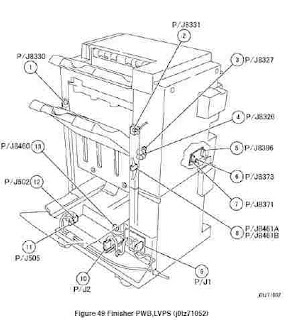 Download free Xerox Docucolor 252 Service Manual pdf - This Xerox Docucolor 252 service manual will help you to repair the damage that occurs on your printer-copier machine. This manual will introduce general procedure how to repairs or adjustment, explains how to diagnostic troubleshooting fault code, image quality problems, how to removal and replacement of the part. If you need more information about another topic, see the relevant section of this service manual. The DocuColor 252 printer-copier is a single-pass, colour laser printer copier product made for colour professionals. It offers impeccable image quality, fast speed, and incredible value. It’s also versatile. Xerox offers a selection of input devices, advanced finishers, high-performance controllers and more. So whether you’re a commercial printer, graphic arts environment or centralized reproduction department, you can tailor the DocuColor 252 printer-copier to meet your specific needs. The Xerox DocuColor 252 printer-copier offers three printing speed options to meet the print volumes of your workgroups. The Xerox DocuColor 252 delivers print speeds of up to 40 ppm colour and 55 ppm black and white. The Xerox DocuColor 2520 printer-copier provides 2400 x 2400 dpi for terrific print and copy output. You can also take advantage of Enhanced Gloss mode for output that stands out from the crowd. Plus, these devices give you all the colour tools you need to get the colour you expect. High-quality calibration gives you sharp results, day in and day out, and profiling options enable you to emulate different output devices through the proofing process. There are so many options with the Xerox DocuColor 252, printer-copier from advanced finishing options to professional colour tools and security features. Busy environments have a choice of high-capacity feeders for fewer interruptions. Section 1 Service Call Procedures This section contains procedures that determine what actions are to be taken during a service call on the machine and in what sequence they are to be completed. This is the entry level for all service calls. Section 2 Status Indicator RAPs This section contains the diagnostic aids for troubleshooting the Fault Code and non-Fault Code related faults (with the exception of image quality problems). Section 3 Image Quality This section contains the diagnostic aids for troubleshooting any image quality problems, as well as image quality specifications and image defect samples. Section 4 Repairs/Adjustments This section contains all the Adjustments and Repair procedures. Section 5: Parts Lists This section contains the Copier/Printer Parts List. Section 6: General Procedures/Information This section contains General Procedures, Diagnostic Programs, and Copier/Printer Information. Section 7: Wiring Data This section contains drawings, lists of plug/jack locations, and diagrams of the power distribution wire networks in the machine. Individual wire networks are shown in the Circuit Diagrams contained in Section 2. This section also contains the Block Schematic Diagrams. 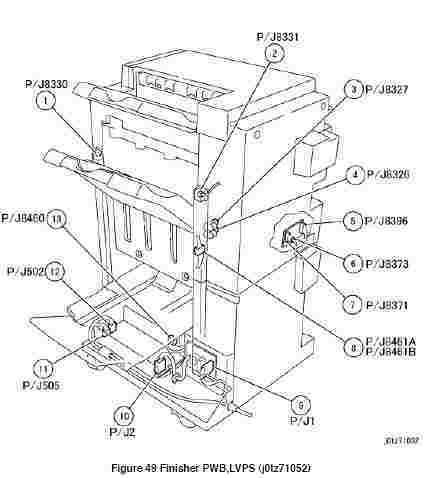 0 Response to "Xerox DocuColor 252 Service Manual"